on Friday, October 26th at 8:00p.m. NSO Principal Pops Conductor Steven Reineke leading Andrew Bird and Gabriel Kahane with the National Symphony Orchestra! 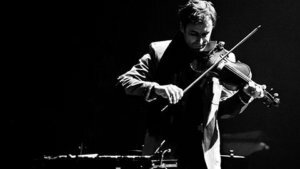 Renowned as a “one-man orchestra of the imagination,” versatile singer/songwriter and classically trained violinist Andrew Bird joins the NSO as part of his national tour performing with indie musician Gabriel Kahane. In his Kennedy Center debut, Bird masters delicately layered pop melodies with nuanced creative genius in innovative orchestrations of his songs conceived by Kahane.